register for the Harvard Pilgrim 10K at Patriot Place. 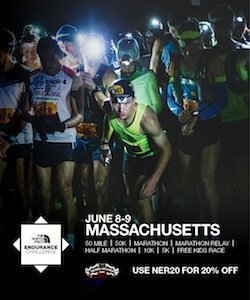 Gillette Stadium ÛÓ will remain open until midnight Thursday, June 30 at www.hardvardpilgrim10k.com. Marathon race director Dave McGillivray of DMSE Sports. also register online and compete for prizes. Together Boston; Employ + Ability, and Prevent Blindness America. one of the most popular road racing days of the year,” added St. Laurent. competed in the 2008 Beijing Olympics. Place, loops through historic Foxborough and ends inside Gillette Stadium. video screens. Last year more than 3,000 runners crossed the finish line. vendors, face painters, a balloonist and a temporary tattooist. younger and one child per adult meal. Boston Marathon champ, will attend the events on Sunday, July 3 from 3-5 p.m.
active members of the community. race updates and information on Facebook at www.facebook.com/HarvardPilgrim10k. Maine and the Run Gloucester! 7-Mile Road Race in Mass. overall member satisfaction in the New England region, according to the J.D. more information, please visit www.harvardpilgrim.org. Plan Rankings 2010-11 ÛÓ Private ** U.S.
theatre and much more. For more information, visit www.patriot-place.com. Games. For more info, visit www.dmsesports.com.